Handmade name garland that is personalized with the letters of your choice as well as the number that represents the age of your loved one. 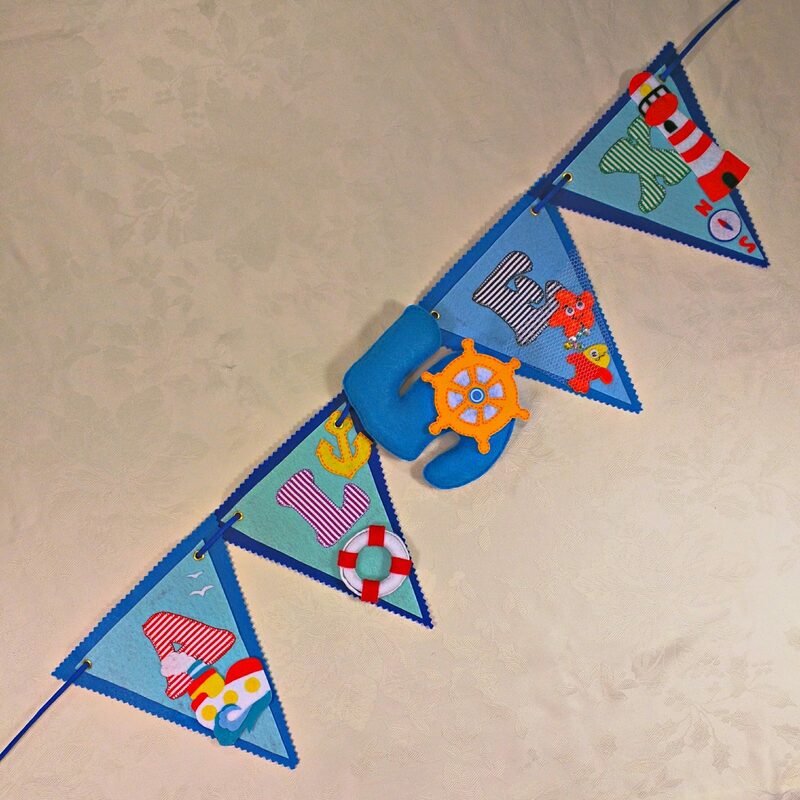 The name banner is made from blue felt while the letters are made from cotton. The letters of this name garland measure 7 1/2 inches (19 cm) in height and 7 inches (17.5 cm) in width. The total width of the garland depends on how many letters are in the name.